Is there a pattern to shopping? 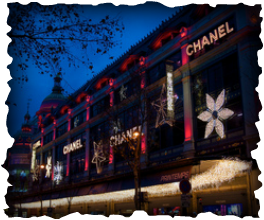 Objective: To find out about the changing pattern of shopping in urban areas using Toulouse and your local town as case studies. Starter - Study the six images below. Each one is a shopping street that should be familiar to one or more students in the Year 10 Geography group at IST. Can you work out which place represents which student? Task 3 - Sort the following statements into either 'Advantages of CBD' or 'Disadvantages of CBD'. 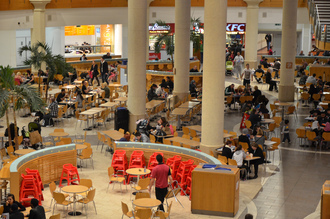 There is often a shortage of space, so shops and shopping centres are unable to expand. There are often other associated services that you can visit at the same time e.g. banks, restaurants, post offices or even libraries. There are many nice buildings in the CBD, giving the area much more character. Because of the shortage of space, land is very expensive, making shop rents very high. Some CBDs have a lot of derelict buildings and high crime rates which scares potential customers visiting the area. Roads leading to the CBD are often small and not designed for cars. Objective: To find out why out of town shopping centres have grown in popularity in recent years. Objective: To find out how the increased use of online stores is effecting the traditional pattern of shopping. Starter: Watch the parody Ebay YouTube video beneath (right). Have you ever purchased anything on Ebay before. If so, what? Discuss as a class the pro's and con's of e-tailing. Task 1 - Using this link to the BBC Bitesize site, create two spider diagrams that show both the advantages and disadvantages of E-Tailing. Task 2 - Creative Writing Task. b. Continued switch from physical to online retailing. c. Types of retailers (products) to be forced out of business by the digital revolution. d. Future impacts on the CBD and what will exist in its place? Try this 2013 BBC article and this one too for ideas. Extension Work - Using Essential Mapskills 2 - turn to page 120-121 and complete the activities on Cribbs Causeway shopping centre in Bristol, UK.